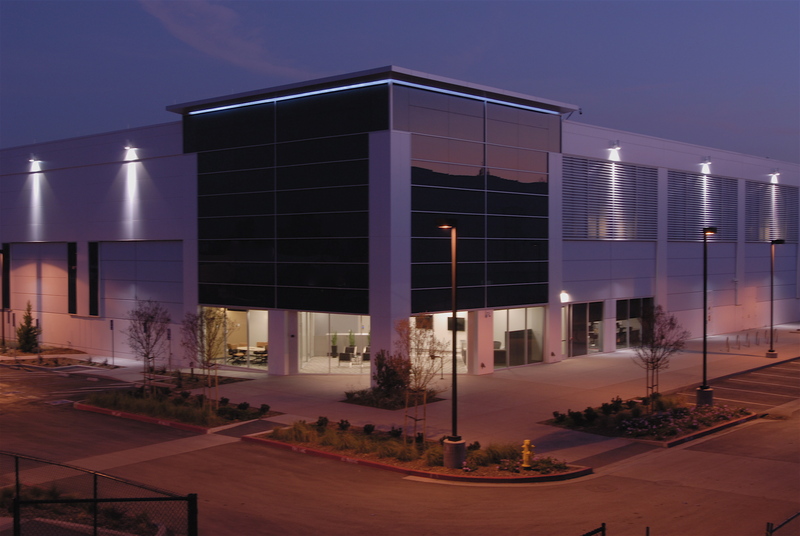 With its newest facility, Vantage Data Centers wants to prove that a low-power data center in Silicon Valley is not an oxymoron. 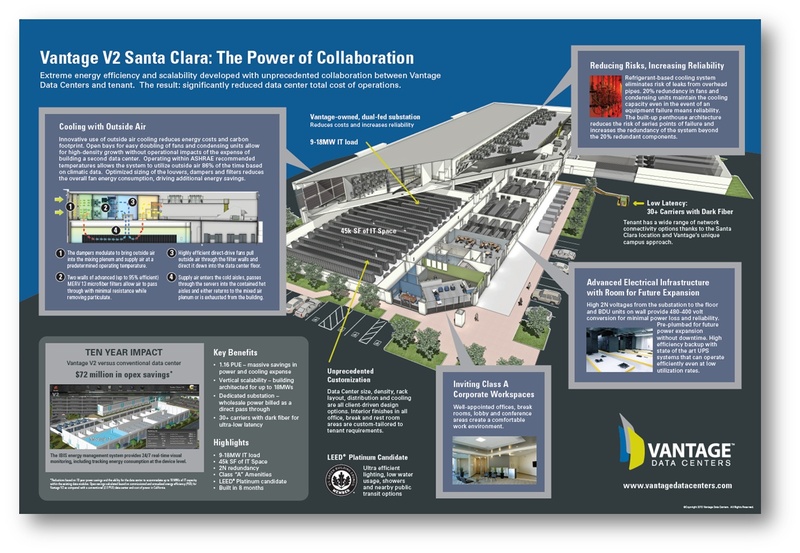 Vantage’s newest Santa Clara, Calif., data center claims an impressive 1.12 PUE energy rating. PUE, or the power use efficiency number, is a commonly used measure to show how efficiently a data center is using energy. The new Vantage Data Centers’ V2 facility is fully leased, and Vantage worked closely with the tenant company on the design, said Greg Ness, CMO for Vantage. Because Vantage’s data centers sometimes support multiple clients, they tend to be more customized than the massive Amazon(s amzn) or Facebook data centers that are held up as paragons of energy efficiency. “We can’t have a one-size-fits all because we lease to 7 or 8 clients [in the overall Santa Clara complex.] We collaborated with them on the electrical, mechanical, construction engineering so the data center will meet their needs,” he said. One way it can deliver energy savings is that it will utilize outside air for cooling — as opposed to using more expensive cooled air from huge power-hungry chillers — 86 percent of the time, Ness said. Many data centers are located in northern climates — Iceland, Scandinavia, the Pacific Northwest — to minimize the need for expensive super-chilled air. The Santa Clara locale is actually cooler than one might think given the nearby San Francisco Bay, which is cooler in the summer than in winter. “We have a moderate climate here, and there are network connectivity advantages to be had by being here,” Ness said. The two-story design gives the data center a “penthouse” cooling system along the lines of Facebook’s state-of-the-art data center in Prineville, Ore., according to Data Center Knowledge. V2 is a 9 MW facility but can run at 18 MW. “We plumbed it to run at a much higher level of power. If you have a 9 MW data center and then run it at 18 MW, it’s like having a second building,” he said. The Santa Clara facilities run off a dedicated Silicon Valley Power substation and buy their power at wholesale rates, Ness said. Another source of cost savings is that the data center clients are enlightened enough to know they don’t have to run their servers in stone-cold rooms. As Amazon’s data center expert James Hamilton has pointed out, many companies run their data centers much colder than they have to. Turning up the thermostat is one sure-fire way to save money, he has pointed out. I love this company. They use the split-level Brady Bunch school of architecture to passively cool datacenters.